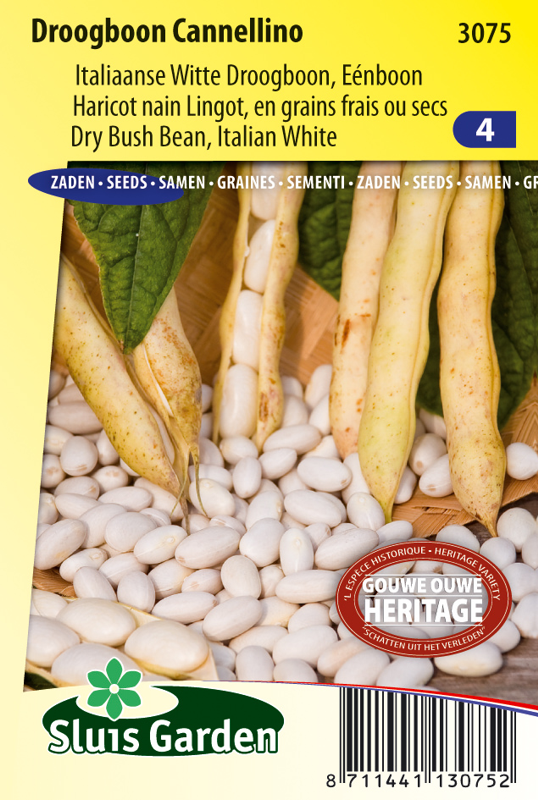 A classic Italian white bean, which grows fairly large and has a very pleasant flavour. 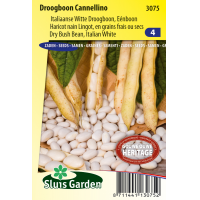 Delicious in the well-known minestrone soup. When unshelled can be used both fresh and dried. It is a bush bean, so support is not necessary. Beans thrive in the warmth. Too much wind and particularly night frost can be very harmful. Sow after mid May in the garden. Row distance approx. 40 cm with a bean every 10 cm. Allow the harvested pods to dry on the field, then later unshell. The pods are not edible.